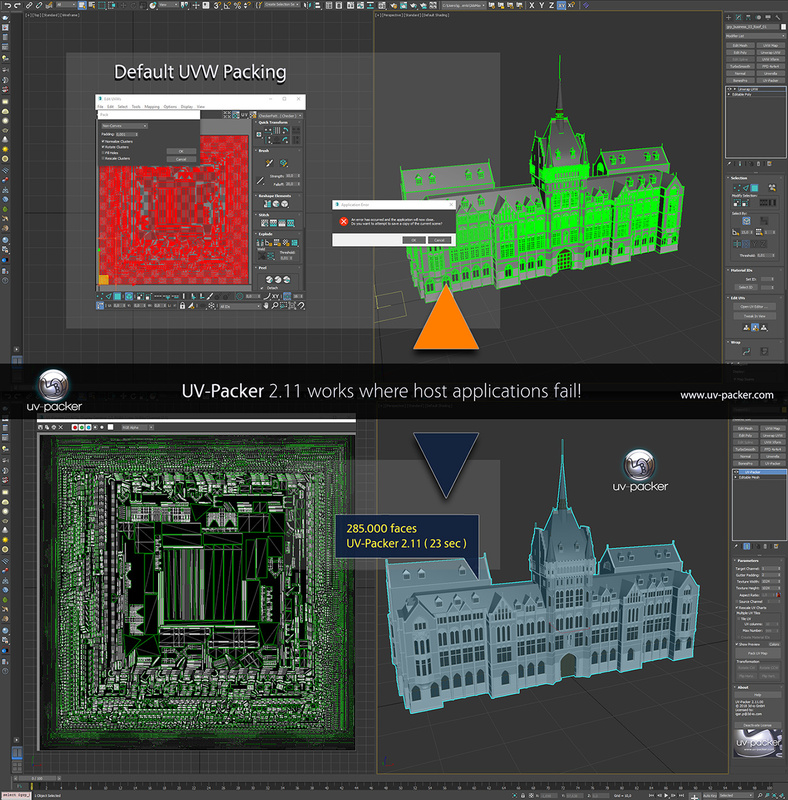 UV-Packer is a plugin for Autodesk 3ds Max. 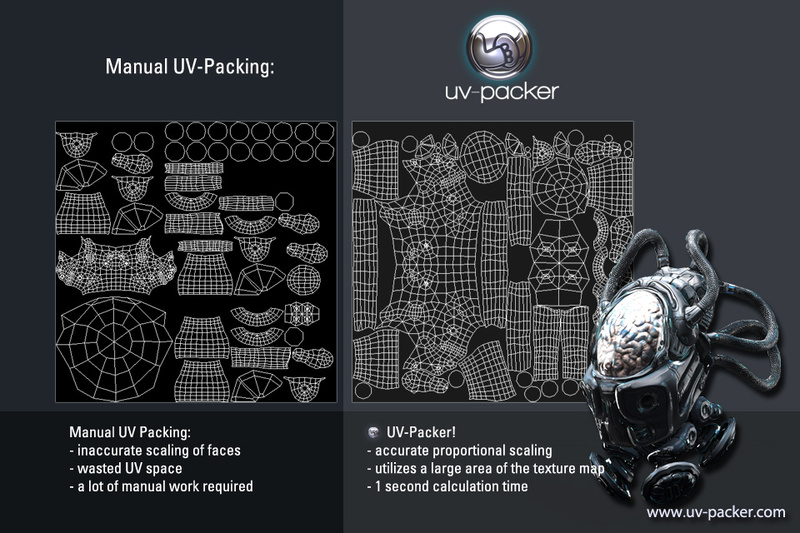 It is a “one-click” solution for packing all your UV maps by calculating their sizes and proportions, and distributing them optimally on the UV pane. 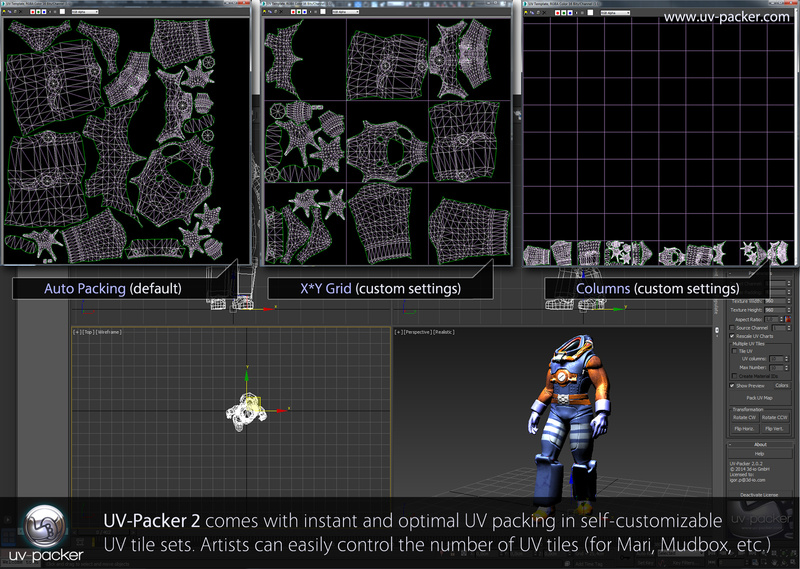 UV-Packer 2 offers 3D Artists instant and optimal UV packing in self-customizable UV tile sets. Artists can now easily control the number of UV tiles, automatically generate material IDs for each UV tile or unwrap the UV tiles according to material ID settings. This is especially useful for Mari, Mudbox or ZBrush workflow. Compatibility with Autodesk 3ds Max 2018. New simplified web manageable licensing: UV-Packer 2 comes out with the new online managed licensing system, allowing users to transfer licenses with one click to any other workstation. No more waiting time caused due to time-zones or email requests: you can activate or deactivate the license and move it as you wish. 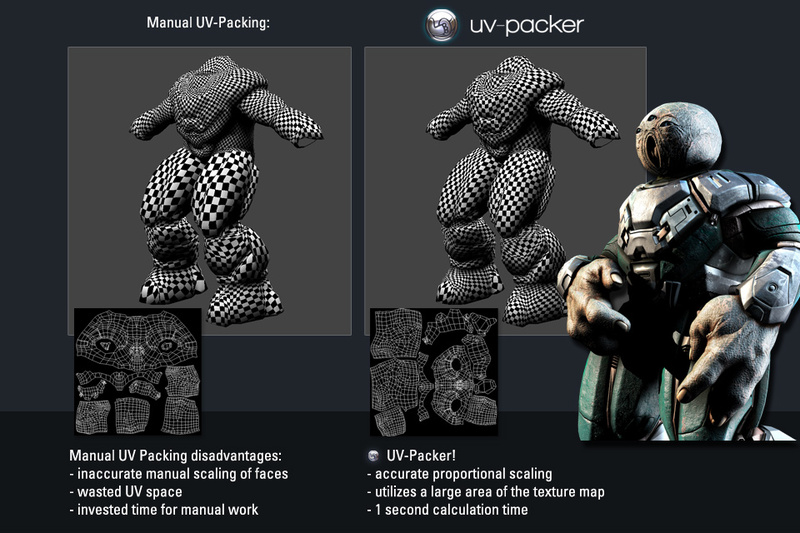 What is new in UV-Packer 2.11? 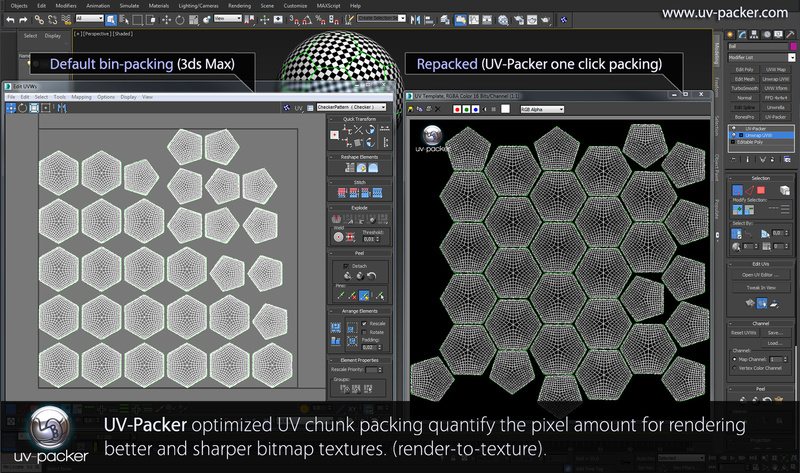 UV-Packer 2.11 introduces the massive uv-packing speed improvements. 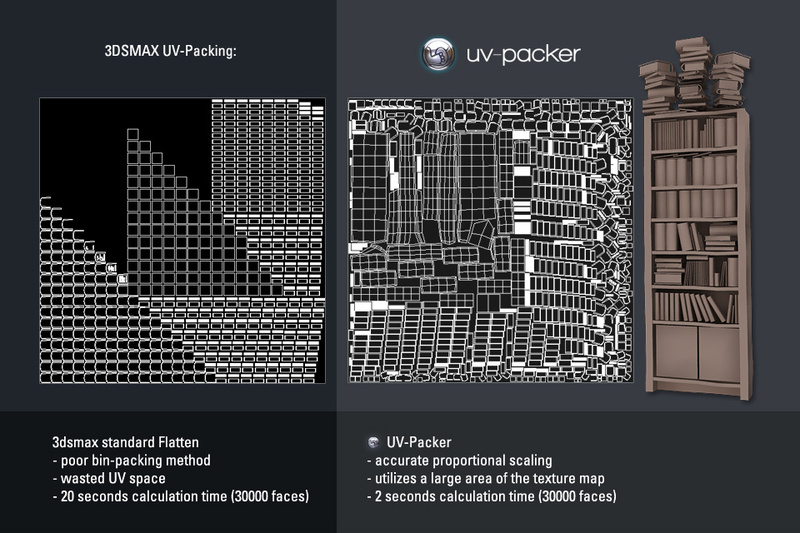 For the heavy polygonal Scenes, with over 100.000 faces and 100 UV-islands where the default 3ds Max UVW packer simply fails, UV-Packer 2.11 calculates the UV-Map in less then a half-minute. 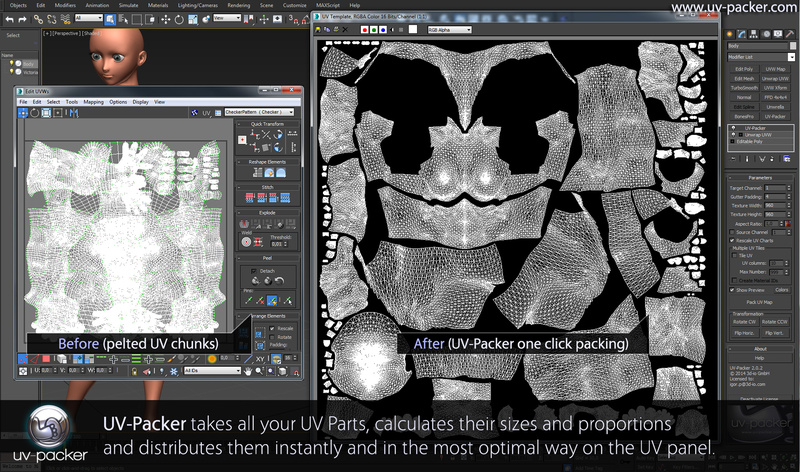 UV-Packer 2 is available now for Autodesk 3ds Max 2010 or above. The update is free for all registered UV-Packer users, a new licence costs € 99,-.